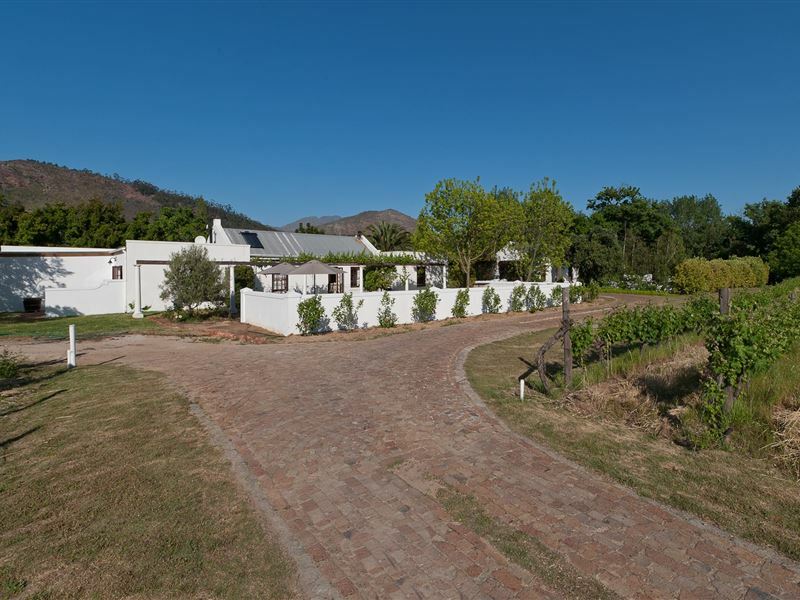 La Galiniere Guest Cottages are located on a secluded boutique vineyard in the heart of the Franschhoek Valley, just 15 minutes’ walk to the centre of town. 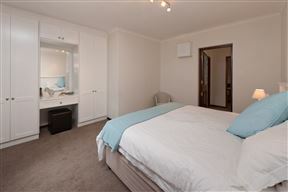 The 2 AA Highly Recommended, 3-star self-catering cottages provide comfortable, relaxing and affordable accommodation suitable for an overnight or longer stay. 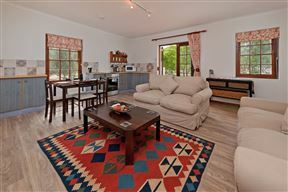 Recently refurbished, high quality fittings and furnishings are used throughout each cottage to provide that home away from home environment. 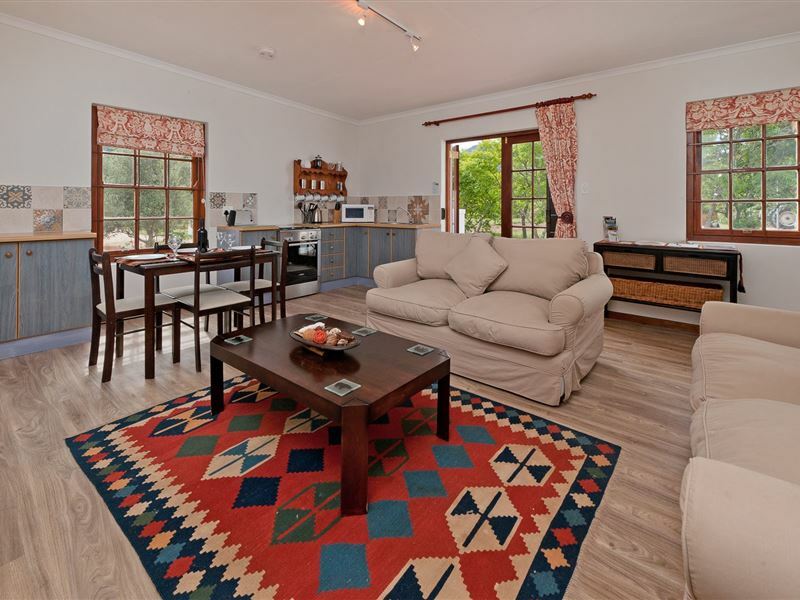 Each cottage has a well-equipped kitchen/kitchenette with oven/hob, fridge-freezer, microwave, TV with wide range of movie and sports channels, DVD player, quality cotton linen and towels, complimentary tea & coffee, fan heaters and cooling fans, universal plug adapters, and hairdryers. 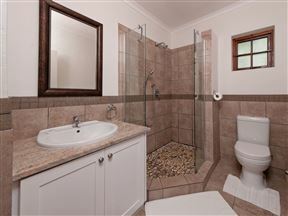 We pay attention to the little details, so there will be milk in the fridge, complimentary toiletries in the bathroom, and a bottle of wine from the farm&apos;s own vines waiting for you when you arrive. 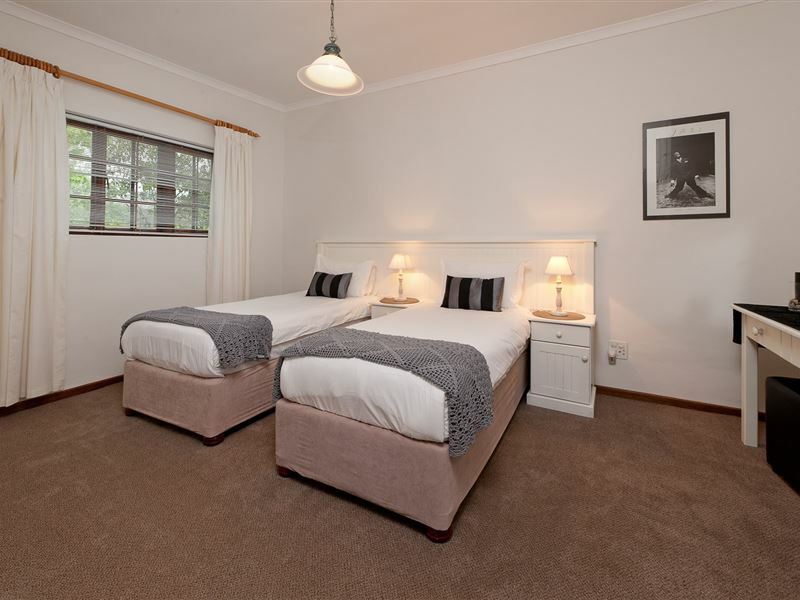 Both cottages provide a choice of king or twin beds in each room. 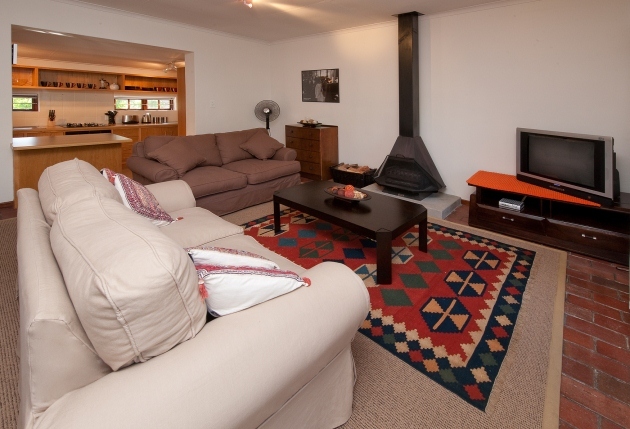 Living rooms have fireplaces for those chilly nights. 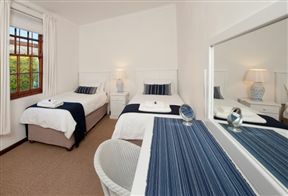 We are also family friendly, leave the cot and high chair at home, we have them here along with kiddie DVDs. Babysitting can be arranged with advance notice and with an additional charge. The two cottages share their own swimming pool, sun loungers and braai area. Secure off-street parking is provided. Early check-ins and late check-outs are usually possible during the off-peak season. 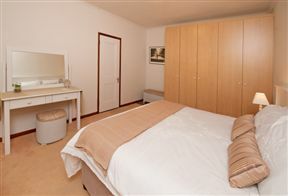 As owners of a local travel company, you can also rely on us to organise tours, transfers, car hire, and other services. Just ask us for further details. 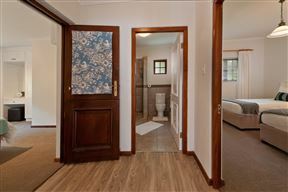 Cottage comprises two bedrooms (twin or king size beds), a living room (2 sofas, TV with wide range of movie and sports channels and dining table), a fully-equipped kitchenette and shower room (shower, basin & toilet), and tea/coffee making facilities. 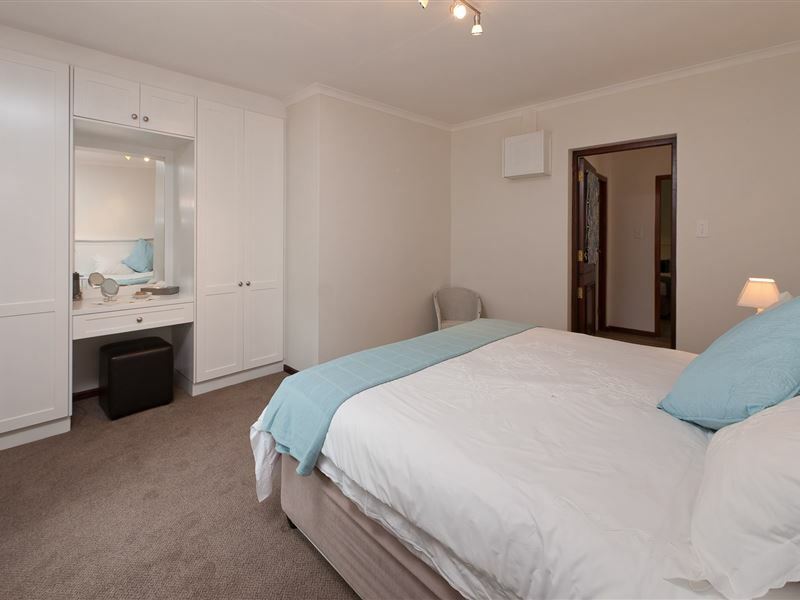 Cottage comprises two bedrooms (twin or king size beds), a living room (2 sofas, TV with wide range of movie and sport channels and dining table), a fully-equipped kitchen and bathroom (shower over bath, basin & toilet), and tea/coffee making facilities. 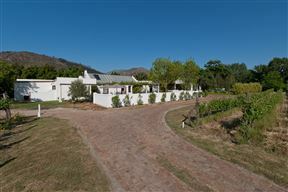 Enjoyed the opportunity of spending time on a working wine estate. 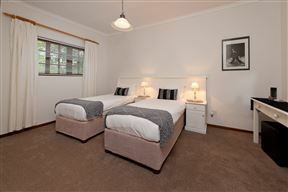 The accommodation was comfortable and Alan and Wendy are wonderful hosts. We will certainly stay there again! Spotless and very well equipped self-catering cottage. Extremely comfortable. The owner Wendy very helpful and friendly. We enjoyed our 4 days at La Galiniere. 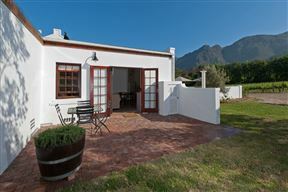 Enjoyed Franschhoek and surrounding towns including Cape Town. The guest cottage was beautifully situated, very comfortable and felt safe at all times. Will stay there again when we next visit this area. 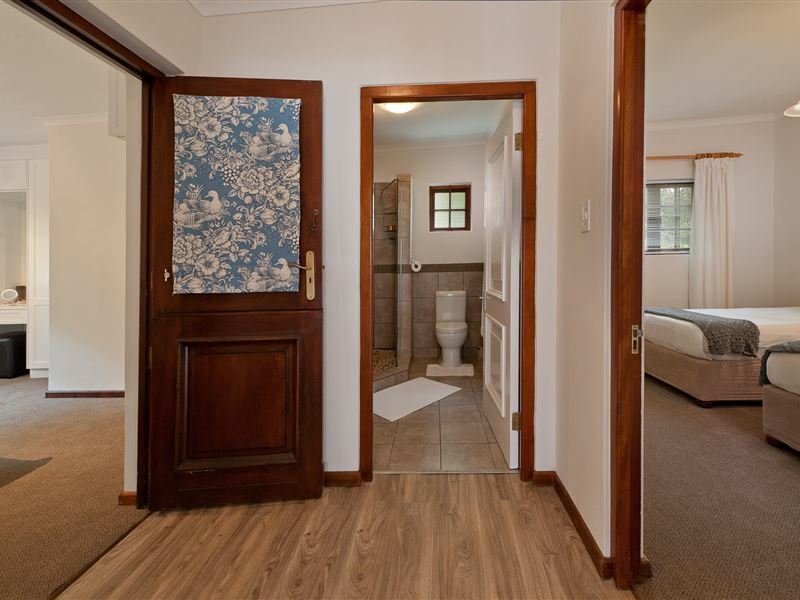 We were pleasantly surprised by the comfort and cleanliness of the cottage. 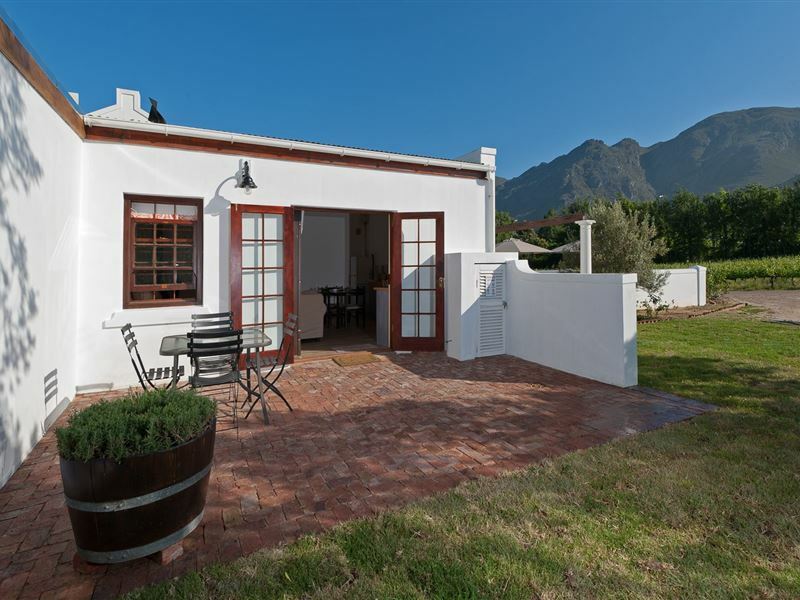 Outstanding value for money considering the prices for accommodation in Franschhoek. And the dogs were very welcoming. Highly recommended. We only stayed for one night but I wish we could have stayed longer. Beautiful setting and everyone was very friendly, even the dogs. Will definitely stay there again. Thank you.